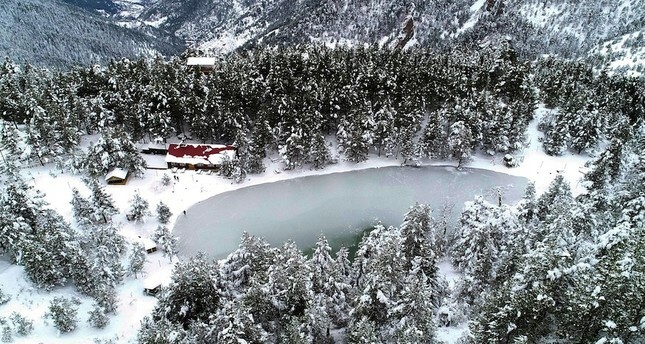 If you’re looking for somewhere different for a winter holiday, try Lake Limni Nature Park in Turkeys Eastern Black Sea region. With the arrival of the year’s first snow, Lake Limni Nature Park will surely be a delight for those looking for peace of mind. Located 45 kilometers from Gümüşhane city center, Lake Limni is situated on the foothills of Mount Zigana. Surrounded by pine and spruce trees, it offers a pleasant view of the snow-covered mountain. The park features a total of 22 forest cottages where visitors can stay for longer periods to enjoy nature. This year alone, the lake and the surrounding park have welcomed over 200,000 local and international tourists, many of them from the Gulf countries. Manager of Lake Limni Nature Park Murat Eroğlu told Anadolu Agency (AA) that the park is open throughout the year and visitors enjoy the nature in winter as much as they enjoy it in spring. One of the perks of spending your winter holiday at Lake Limni is that it is very close to the ski resorts on Mount Zigana. Once your stay at the nature park ends, you can put on your ski boots and enjoy sliding down the mountain slopes. The Zigana Winter Sports and Tourism Center has already seen 40 centimeters of snowfall. It is one of the most popular extreme sports centers in Anatolia. 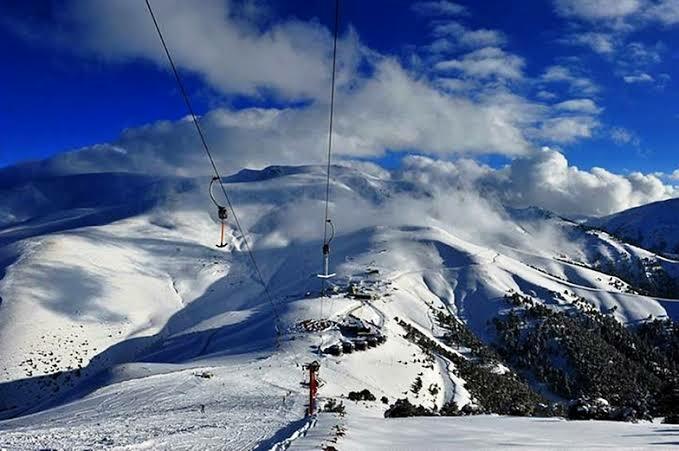 It is especially popular with skiers and snowboarders.Just 60 kilometers from Trabzon airport and 40 kilometers from Gümüşhane city center, Mount Zigana features some 150 boutique hotels and a ski lodge with capacity for 50 people.